Thanksgiving is the time of year when Americans get together with family and friends to give thanks for all the great things in life. At least that’s the idea behind it all. In reality, Thanksgiving for most Americans is the time when they get together to stuff themselves with turkey and maybe watch a bit of football. We have already talked about best wood for turkey, and shared with you a very easy and quick recipe for﻿﻿ a﻿﻿ smoked turkey breast. But today let's take it easy and talk a little bit about history. From its humble beginnings nearly 400 years ago, the Thanksgiving holiday has undergone a huge number of changes throughout its history. 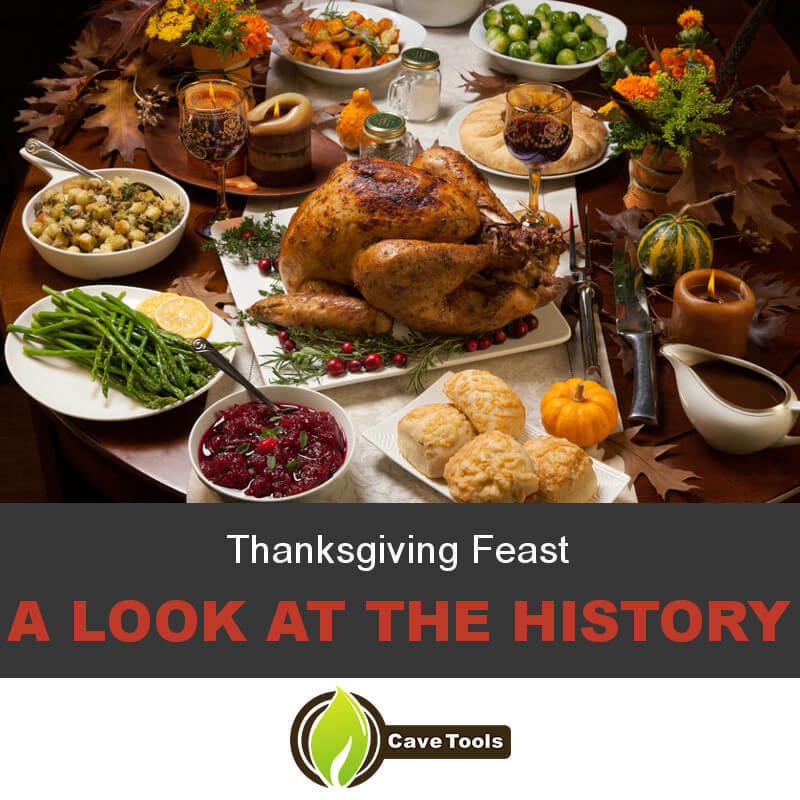 With this in mind, we’ll now take a look at the history of the Thanksgiving feast to show you all of the many ways in which this fantastic feast has changed. Although every family tends to have their own favorite dishes and unique recipes, Thanksgiving is still the one national holiday in the United States where most people tend to eat the same meal. In fact, many people would say that you can’t really even consider it a proper Thanksgiving feast unless the meal features all of the staple ingredients—turkey, stuffing, mashed potatoes, sweet potatoes, cranberry sauce and pumpkin pie. However, things weren’t always this way, and in fact, the first Thanksgiving was probably much more different from our modern holiday than people can even imagine. Not all that much is actually known about the first Thanksgiving day that the Pilgrims and Native Americans shared in 1621. In fact, about the only thing that historians are certain of concerning this original feast is that the people who attended it ate venison, wildfowl and corn. 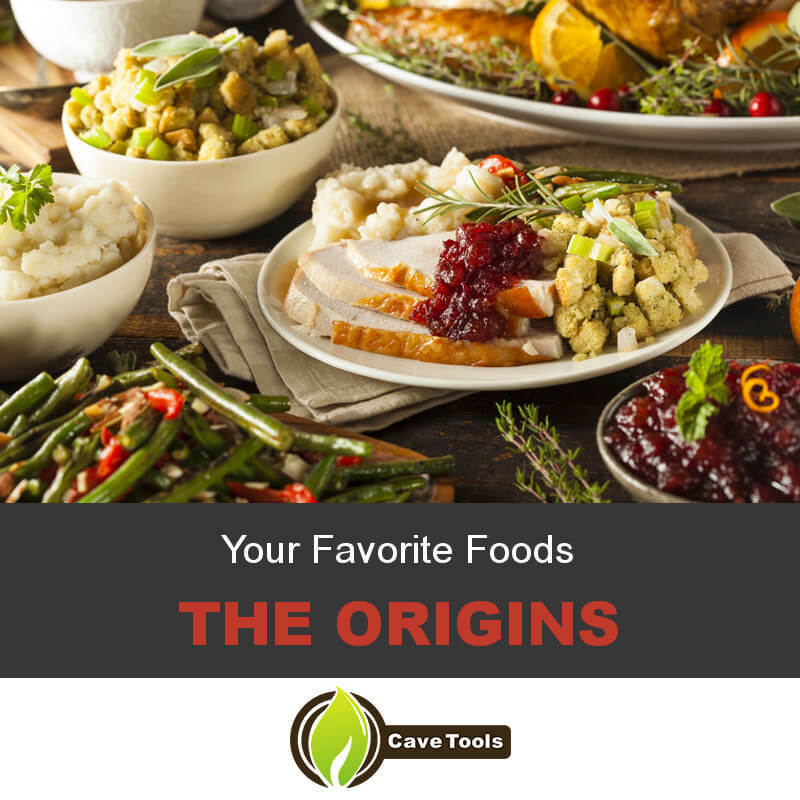 No one is quite certain what, if any, other foods were prepared for the first Thanksgiving day, but it does seem that all of our more modern Thanksgiving classics like turkey, stuffing and pumpkin pie weren’t added until many years later. Most historians are highly skeptical about whether turkey was served at the first Thanksgiving dinner, and there doesn’t seem to be any indication that the Pilgrims ever ate turkey at all during those first few years. Furthermore, historians are also uncertain as to when turkey actually started to become a staple of Thanksgiving. By the early 20th century, many American writers were already beginning to refer to the holiday as Turkey Day, and the bird had well and truly become the centerpiece of the Thanksgiving meal by the time the day was made an official federal holiday in 1941. Cranberries are native to North America. There is plenty of evidence that Native Americans made use of cranberries long before the Pilgrims ever arrived on the continent and also evidence that shows that cranberries became a staple part of the settler’s diets sometime during the mid-1600s. Cranberries soon became an important part of the harvest in New England, but it wasn’t until approximately 50 years after the first Thanksgiving that the first historical record of cranberry sauce being served at the holiday feast appears. This would seem to indicate that cranberry sauce was actually one of the first modern Thanksgiving foods to appear on the traditional holiday menu, but it wasn’t until 1864 that cranberry sauce cemented its place in the traditional Thanksgiving feast. This change occurred when General Ulysses S. Grant ordered that all of his soldiers be served cranberry sauce as part of their holiday meal, a tradition that continues to this day. Stuffing dates back to the times of ancient Romans, and there are numerous Roman cookbooks that feature recipes for bread-based stuffing. However, there is virtually zero chance that stuffing made an appearance at the first Thanksgiving, as the Pilgrims did not have access to flour or ovens for baking. Nonetheless, the practice of stuffing large birds with a bread-based mixture was very common during the Pilgrims’ times. In fact, it was actually much more common back then than it is today, as most Americans rarely, if ever, cook a large bird outside of Thanksgiving. Nonetheless, an invention from Kraft Foods in 1971 made it possible to have stuffing at any time of the year with almost no effort involved. Soon after its release, this boxed stuffing immediately took off and remains incredibly popular to this day. That being said, there are plenty of Thanksgiving traditionalists who would never consider using boxed stuffing for their holiday feast. As with cranberries, pumpkins are native to North America and formed an integral part of Native American diets long before the Pilgrims arrived. 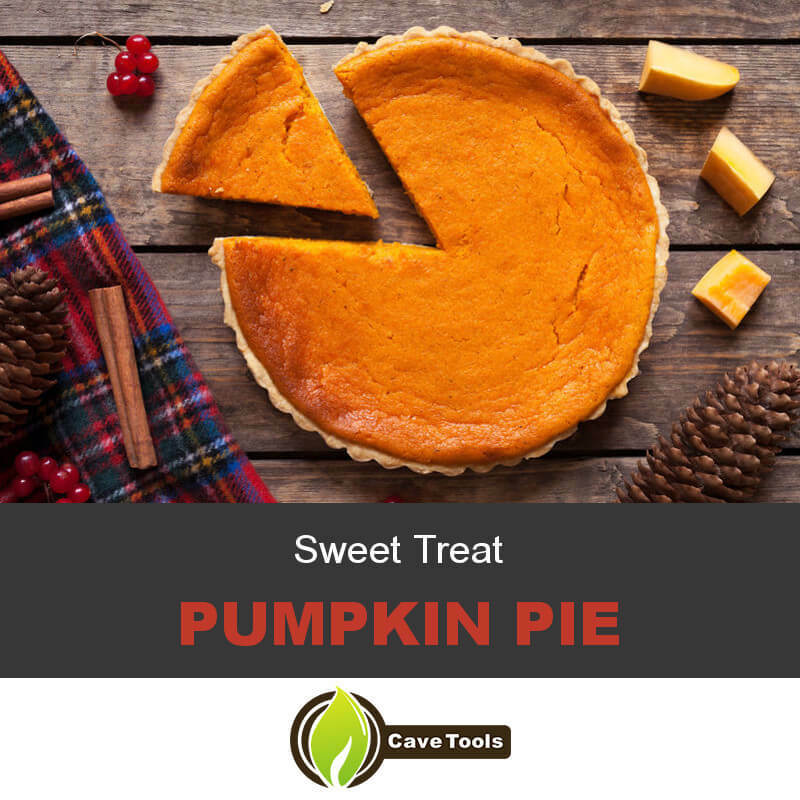 Nowadays, pumpkin pie is considered the traditional way to end the Thanksgiving meal with a sweet treat. However, it seems that the Pilgrims weren’t quite so lucky. Although squash and pumpkin both form part of the traditional New England harvest and were definitely eaten by the Pilgrims, it wasn’t until many years after the first Thanksgiving that pumpkin pie started to become popular and eventually became one of the Thanksgiving traditions. Instead of baking it into a pie, the early Pilgrims most likely only ate boiled pumpkin instead. In fact, the first recipe for pumpkin pie didn’t appear in an English cookbook until 1670, and it wasn’t until 1796 that pumpkin pie made its first appearance in an American cookbook. There is no doubt that neither the Pilgrims nor the Native Americans had ever seen or tasted a potato or a sweet potato at the time of the first Thanksgiving. The reason is that neither species of tuber had actually made it to North America yet. Sweet potatoes are native to the Caribbean, whereas white potatoes grow naturally in South America. Eventually, sweet potatoes made it to North America via Europe, where they almost immediately grew popular in the South due to the humid climate creating the ideal growing conditions. Nowadays, many Thanksgiving feasts feature both mashed white potatoes and candied sweet potatoes, but the candied sweet potatoes are definitely a fairly new addition to the feast. In fact, the first recipes for candied sweet potatoes weren’t published until around 1889. Some families choose to use marshmallows to make a sweet potato casserole, and this method of preparation was made popular by the Angelus Marshmallows company beginning around 1917. Although the wild turkey eventually grew to be known as a symbol of North America during the time of the colonies, the vast majority of Americans alive today have definitely never tasted one. The reason is that most of the turkeys raised to be eaten in America and elsewhere in the world are not wild heritage turkeys. Instead, they are a breed known as the broad-breasted white turkey, which was created during the 1960s by selectively breeding together several different species. As part of this breeding process, scientists chose the turkeys specifically to have a large breast and white feathers. The result is the broad-breasted white turkey, which grows to a whopping 35 pounds in just 19 short weeks. These turkeys have such large, disproportional breasts compared to the rest of their bodies that it is often nearly impossible for them to walk around and there is no way for the birds to reproduce on their own. The broad-breasted white turkey has dominated Thanksgiving tables for more than 50 years now, but it wasn’t always the case. Prior to the 1960s, most Americans still feasted on the traditional heritage turkey for their holiday meal. Compared to the broad-breasted whites, heritage turkeys have brown feathers and are much smaller in size. This small size and the fact that the skin is sometimes dark and spotted due to the darker feathers led poultry producers to develop the broad-breasted white in order to provide something that looked more appealing to customers. Heritage turkeys also tend to have much less white meat than our modern white turkeys, and some of them are almost entirely dark meat—even including the breast. Almost as soon as the new turkey species was developed, it became an instant hit and began to grace the majority of Thanksgiving tables. This trend still continues today, and of the approximately 50 million turkeys killed for Thanksgiving each year, almost all of them are of the broad-breasted white variety. However, it does seem that this trend is again beginning to change as more and more Americans begin looking for something a bit more natural. As a result, more farms are again starting to raise and slaughter heritage turkeys for Thanksgiving. Many families are also choosing to skip the turkey altogether or even to have a completely meat-free meal for Thanksgiving. In this sense, it seems that the traditional Thanksgiving feast is still evolving and changing as the years go by. For this reason, it would be interesting to see how the holiday continues to change and what Thanksgiving might look like in another few hundred years. Based on evidence of how the holiday has changed so far, there is every chance that at least some of our modern traditions will go by the wayside and potentially be replaced by all new ones. Of course, the one tradition that will probably continue is using Thanksgiving as an excuse to stuff yourself with food until you feel like you might burst. In general, an unstuffed turkey will cook for 13 minutes a pound, and a stuffed turkey will take 15 minutes a pound. The turkey is finished cooking when the thickest part of the thigh meat reaches 165 degrees F.
What Temperature Oven Should You Cook a Turkey? It is best to start the turkey in a very hot oven, such as 450 degrees F. This will give the exterior of the bird a nice browned look and give you crispy skin. Once you place the bird in the oven, you can reduce the heat to 350 degrees F.
What is the Correct Temperature for Turkey or Turkey Breast? Turkey is safe to eat when it reaches 165 degrees F. It must register 165 degrees F in all places, including the dark meat or the white meat. If you are stuffing a turkey, the stuffing also must reach 165 degrees F.
How Long Does it Take to Thaw Turkey? 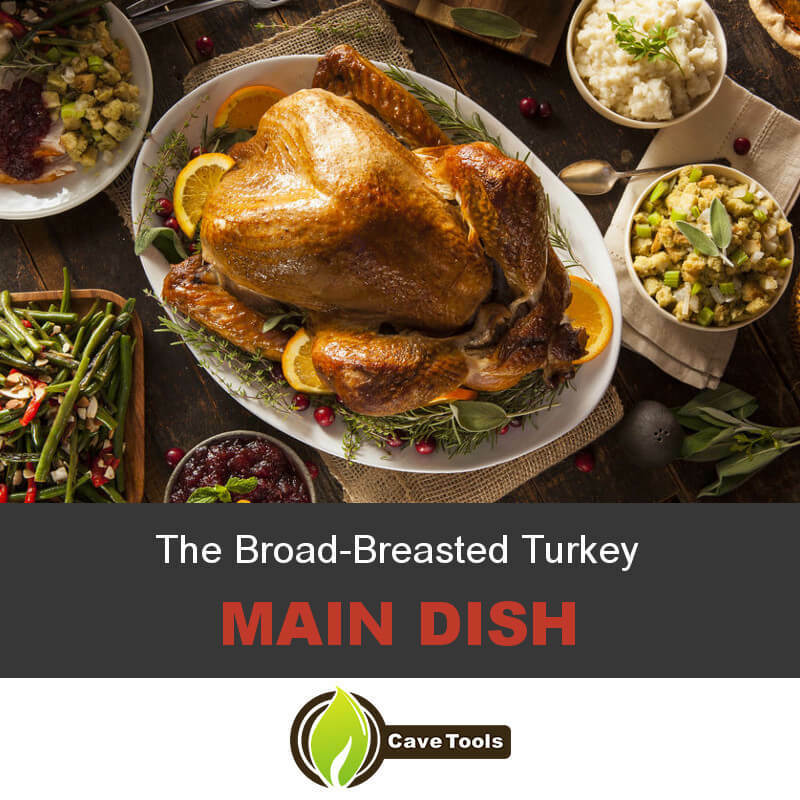 According to the USDA (the department responsible for keeping our food safe), turkey should only be thawed in the refrigerator, under cold running water, or in a microwave. In the refrigerator, it takes 24 hours for every 4 pounds. In cold water, it takes 2 hours for every pound of turkey. There are no set rules for the microwave so you should consult your owner's manual. Can You Brine a Kosher Turkey? You should not brine a kosher turkey. These turkeys have already been injected and brining it would cause it to be overly salty.